Lifetime Warranty on the Hollow Fiber Filter! In times of overseas travel, natural disaster, or terrorist attack, safe drinking water is essential! 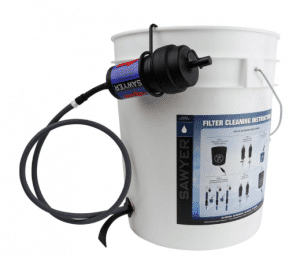 With no pumping and no chemicals required, the Sawyer (0.o2 micron) Point Zero Two™ water purifier with bucket adapter delivers 5 gal. of clean drinking water in under 45 min. Up to 170 Gallons of Clean Water Per Day! Thousands used in Haiti and Japan during disasters. • Simply install the purifier to nearly any plastic bucket (not included) and you’re setup with a large-volume gravity purification system. 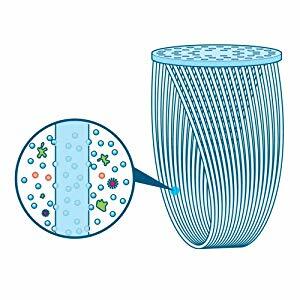 • 0.02-micron hollow fiber membrane purifier physically removes particles, protozoa, bacteria and viruses while maintaining a good rate of flow. 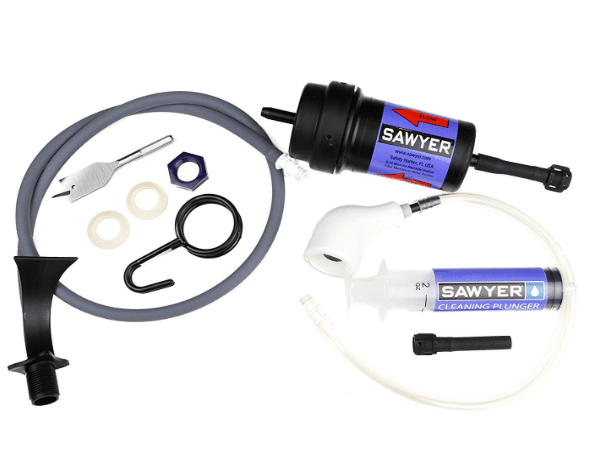 • Sawyer Point Zero Two water purifier includes hollow fiber purifier, tubing, bucket adapter, hole cutter, faucet adapter, filter cleaner, filter hanger, and instructions. 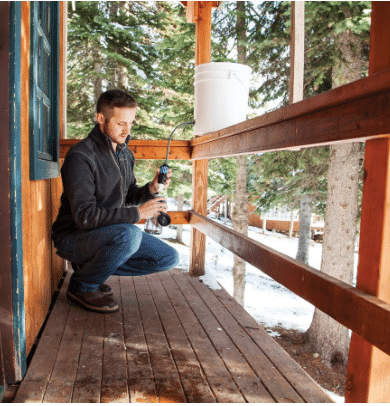 If you will be drinking wilderness water (lakes, streams, or ponds or any source overseas) in addition to tap or bottled water, we recommend the Sawyer® Viral Water PURIFIER . This filter/PURIFIER removes 99.99999% of Bacteria, 99.9999% of Protozoa and Cysts, and 99.997% of Viruses. This Sawyer® Water PURIFIER feature a 0.02 Micron Absolute Hollow Fiber Membrane which uses medical technology developed from kidney dialysis. 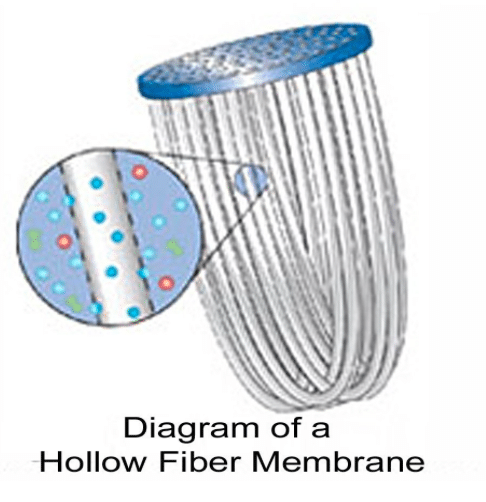 When the water is drawn through the filter it flows through the side walls of the Hollow Fiber tubes. Sediment, bacteria, protozoa, cysts, and other contaminants are filtered out exceeding all applicable EPA recommendations. Simply follow the enclosed directions for use and attach to any bucket or pail to yield bacteria/virus-free water in remote locations. This NEW viral filter, 0.02 micron; no chemicals needed, rated for One MILLION Gallons. Handles up to 40 PSI but flow is easy enough to drink direct orally. Low cost and high volume. Will put and end to Typhoid and Cholera for an incredibly low cost. > 5.5 log viral, fully EPA tested. Back washing is not required often unless you are filtering very turbid water. Back washing only takes a few seconds and the simple syringe is included. NO REPLACEMENT FILTERS OR CARTRIDGES ARE NECESSARY. We believe you will thoroughly enjoy the ease and extra protection this proven next generation technology offers you. 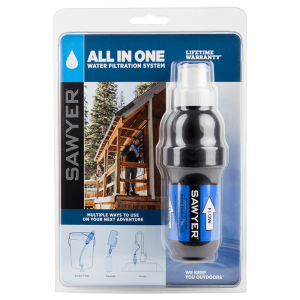 • Viral Purification: Sawyer® Water Purifiers offer the highest level of VIRAL and biological filtration available in the portable water purifiers category for removal of VIRUSES, bacteria, E. coli, Giardia, and Cryptosporidium. Bacteria Which Cause: I.E. : Cholera, Botulism (Clostridum botulinum), Typhoid (Salmonella typhi), Amoebic Dysentery, E. Coli, Coliform Bacteria, Streptococcus, Salmonella Protozoan (Cyst): I.E. : Giardia, Cryptosporidium, Cyclospora Viruses: I.E. : Hepatitis A (HAV), Poliovirus, Norwalk, Rotavirus, Adenovirus, Hepatitis E (HEV), Coxsackievirus, Echovirus, Reovirus, Astrovirus, Coronavirus (SARS) For areas where viruses are an issue or if water is being used for medical purposes, you will want to use Sawyer’s .02 Micron Purifier. It is the first and thus far only portable filtration device to physically remove VIRUSES in addition to bacteria, which it does at a >5.5 log (99.9997%) rate exceeding EPA and NSF recommendations. “At Last! A water purifier that is safe, fast (imagine 5 gallons in under 45 minutes), lightweight, highly effective-yet inexpensive. However, it can provide the safe drinking water (free of bacteria and waterborne viruses) needed for overseas teams. It is safe even for medical uses and NEVER needs replacement! After leading work teams overseas in various countries, this is the very best, light weight, low-cost, highly effective water filter with documented VIRUS protection that I have ever seen! Just install this kit on a plastic bucket that you can procure in most any country. 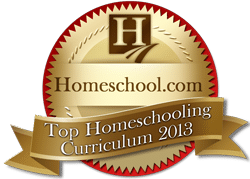 • Exceeds EPA standards protection. Consider OPTION #2 Less expensive item! 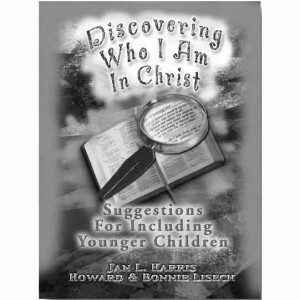 Item 690SP181 is only $59.95. 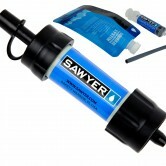 Use Sawyer® POINT ONE Biological Water FILTER (0.1 Micron) to further filter your tap or bottled water. 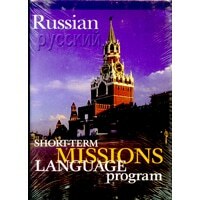 Most water in USA will only need this. 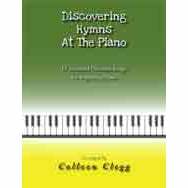 • Removes: 99.99999% of Bacteria and 99.9999% of Protozoa and Cysts: Cysts: E. Coli, Giardia, Cryptosporidium-but NOT viruses.